Strong 600D polyester made duffle bag featuring woven carry handles and adjustable padded shoulder straps and much more! 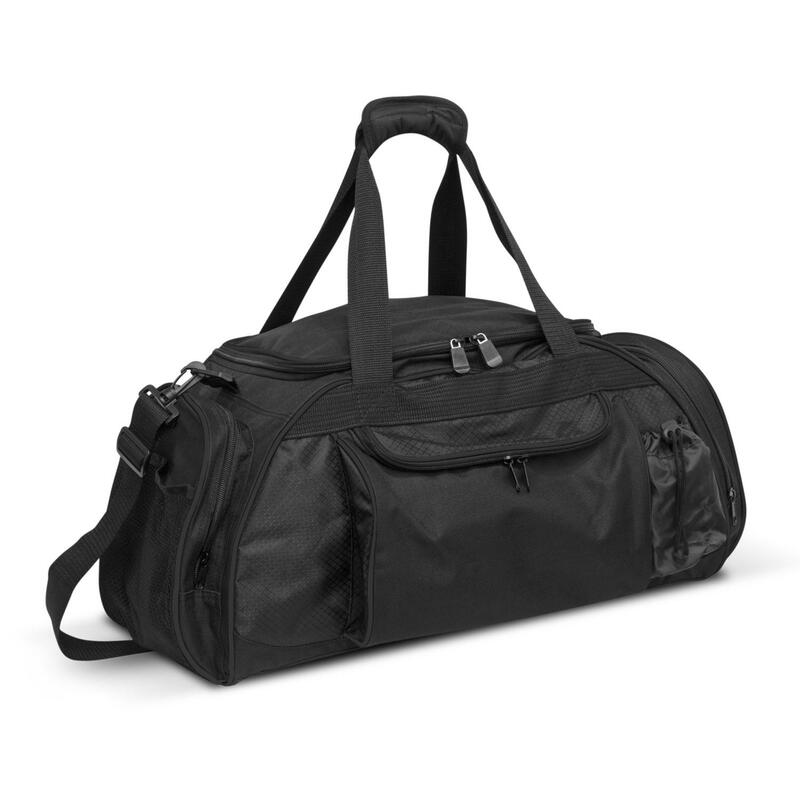 Travelling is easy with this design inspired contoured duffle bag. It gives a good balance for durability and storage. Manufactured from strong 600D polyester material, it features an attractive patterned ripstop nylon accents and distinctive coloured piping. It has woven carry handles with a Velcro cuff and a padded woven shoulder strap which is adjustable and removable. Horizon features three external zippered compartments, one of which is an extended waterproof inner bag for shoes or wet clothing. Other features include an adjustable water bottle holder, a reinforced base with plastic feet and an outer mesh pocket. Features an attractive patterned ripstop nylon accents and distinctive coloured piping. 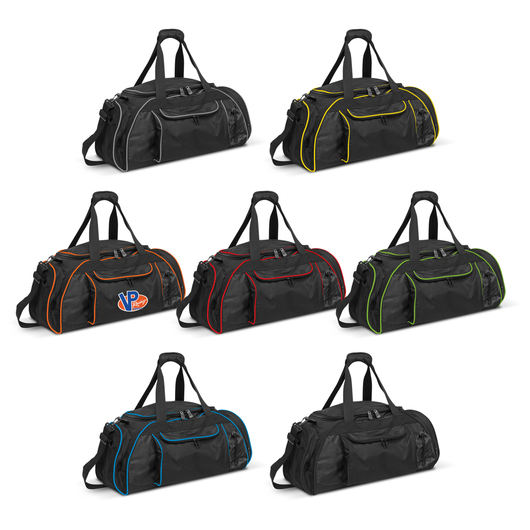 Has woven carry handles with a Velcro cuff and a padded woven shoulder strap which is adjustable and removable. Three external zippered compartments, one of which is an extended waterproof inner bag for shoes or wet clothing. Adjustable water bottle holder, a reinforced base with plastic feet and an outer mesh pocket. Perfect for your sports gear, a weekend trip, organizing your trunk or carrying your tools.